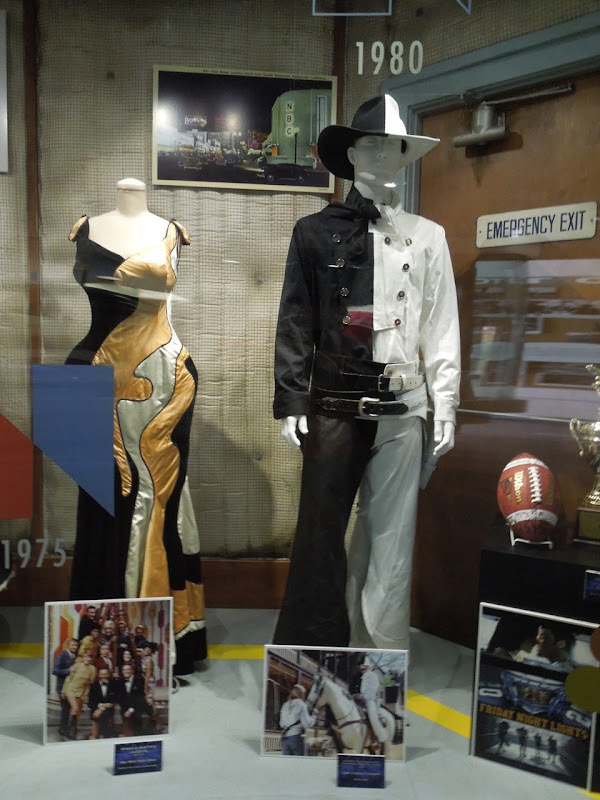 If you've taken the Universal Studios Hollywood backlot tour recently (or since 2011 at least) then you may have seen this split cowboy costume worn by late-night talk show host Jimmy Fallon. 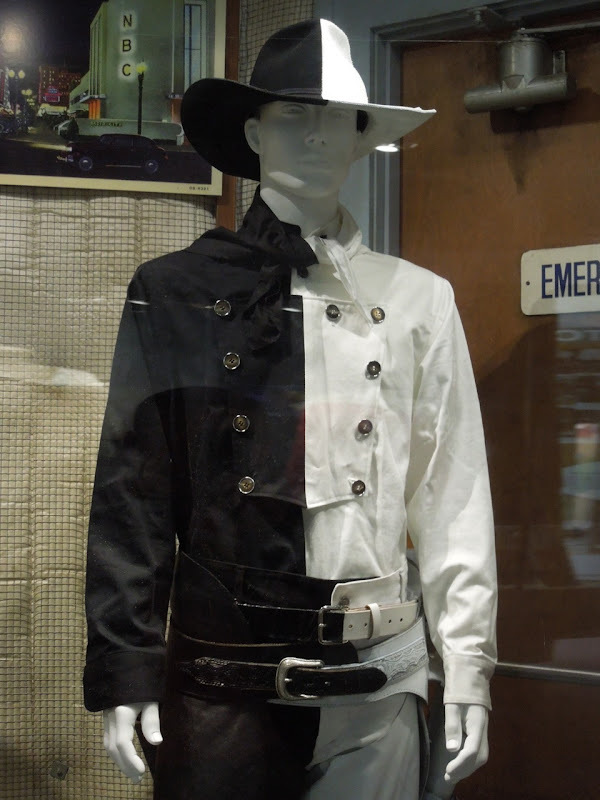 He wears this comedic black and white outfit for the Six Point Texas Tram Sketch you see when you ride through the studio backlot where they filmed lots of classic Westerns, shooting up to six movie simultaneously on the six different streets. 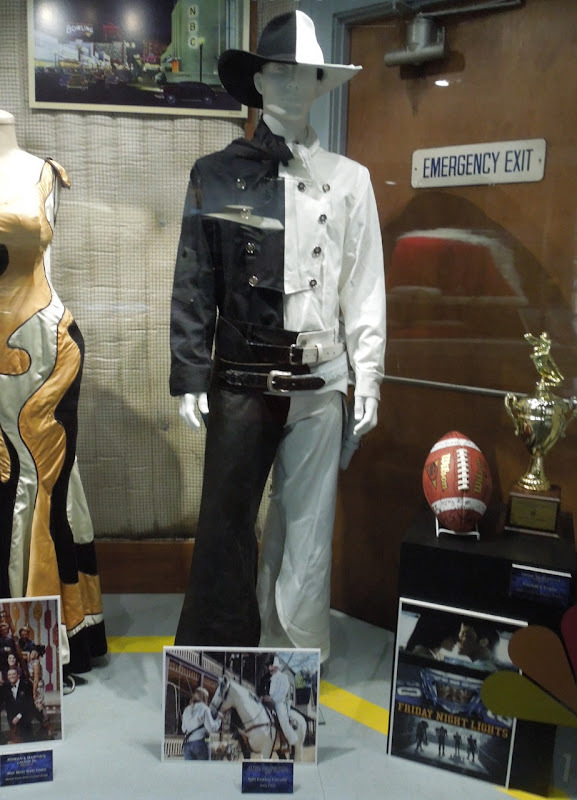 This fun costume was photographed on display at the NBC Universal Experience exhibit on April 26, 2012. Personally I think it would make a fantastic Halloween costume.